FIFA president Sepp Blatter has resigned from football’s governing body as reports emerge that the FBI have the man who dominated world football for the past two decades in their crosshairs. 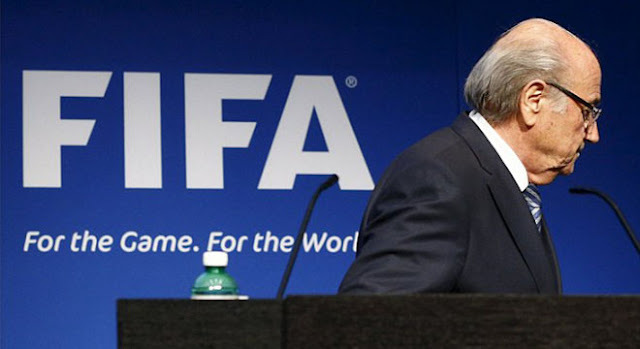 The 79-year-old Blatter was re-elected to a fifth term last weekend, two days after a corruption crisis erupted and seven football officials were arrested in Zurich ahead of the FIFA congress. The resignation comes on the back of ABC News reports in the United States that Blatter is being investigated by the FBI and US prosecutors as part of the probe that led to the stunning indictments. According to the reports that followed the stunning indictments by US authorities in Zurich last week the investigators are hoping to use those indicted to provide information that could lead to charges being laid against their superiors — much as federal agents would when investigating an organised crime case. “Now that people are going to want to save themselves, there’s probably a race to see who will flip on (Blatter) first,” one source said, explaining how the feds typically try to get people to inform on their superiors. “We may not be able to collapse the whole organisation but maybe you don’t need to,” one of the sources said.